With summer closing in on us ever presently, I have been cooking up a storm, and not just my cupcakes. Summer tends to bring with it lots of parties of various kinds. The party style as of late has been birthday parties! Now normally birthday parties conjure up the idea of beautiful cakes, elegant cupcakes, but there will be none this week. 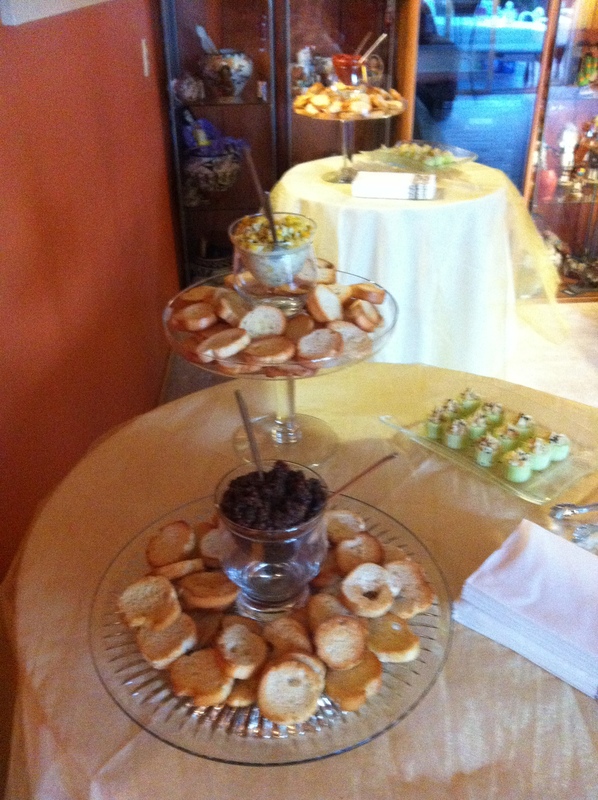 Instead, my friends, we have delicious meats and appetizers, and maybe a little bit of bacon hiding somewhere in there. 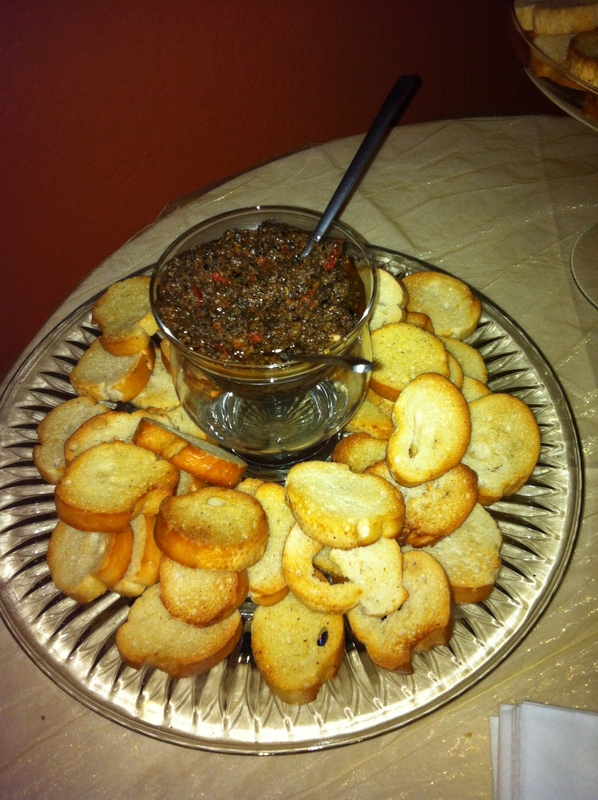 Years ago, I started making an olive tapenade that has been a crowd favorite for years. 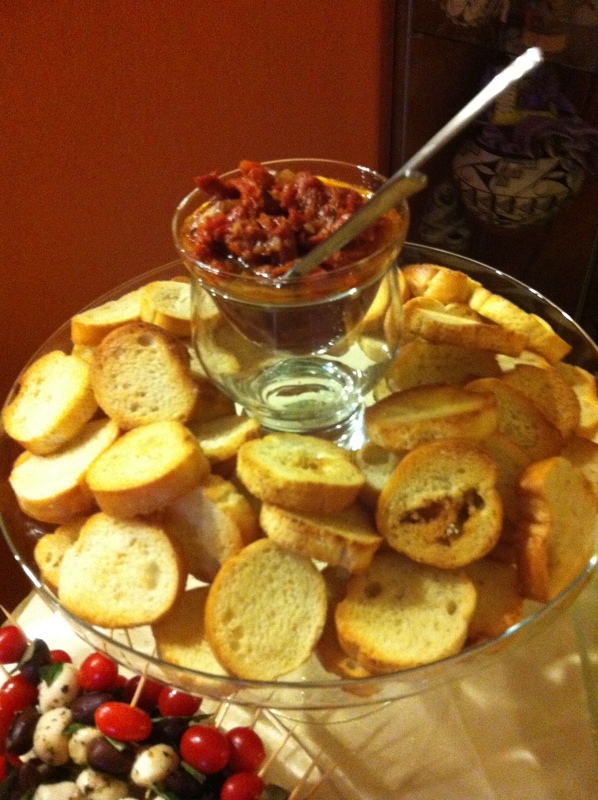 all served with homemade crostinis. Also peaking out in one corner of the pictures are another classic caprese skewers with grape tomatoes, kalamata olives, fresh basil, and mozzarella all on one convenient stick. And now for the meat! We a definitely a family and group of carnivores. 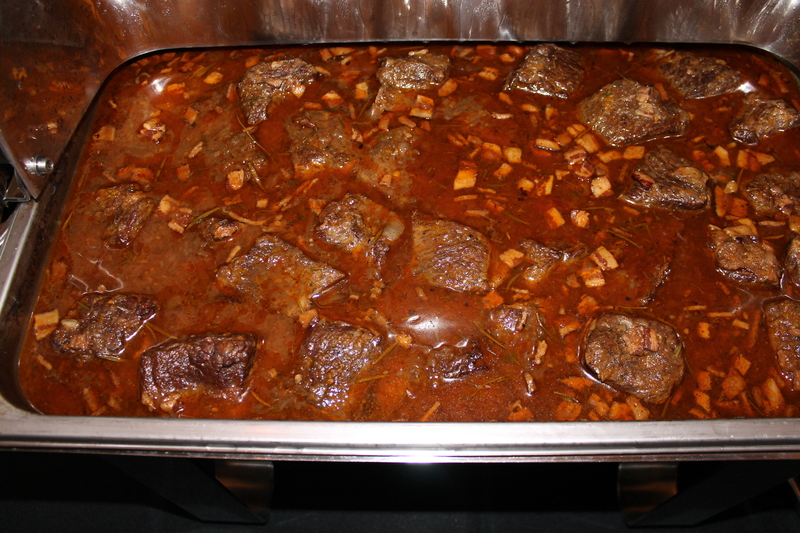 We love meat of all kinds which is why I have so many different recipes for meat. 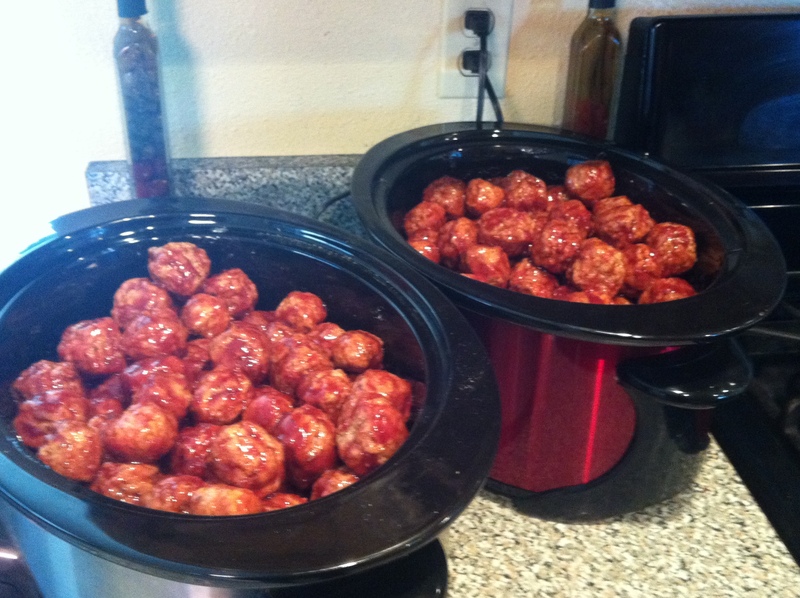 Another big crowd pleaser that shows up at almost every party are the raspberry chipotle meatballs. 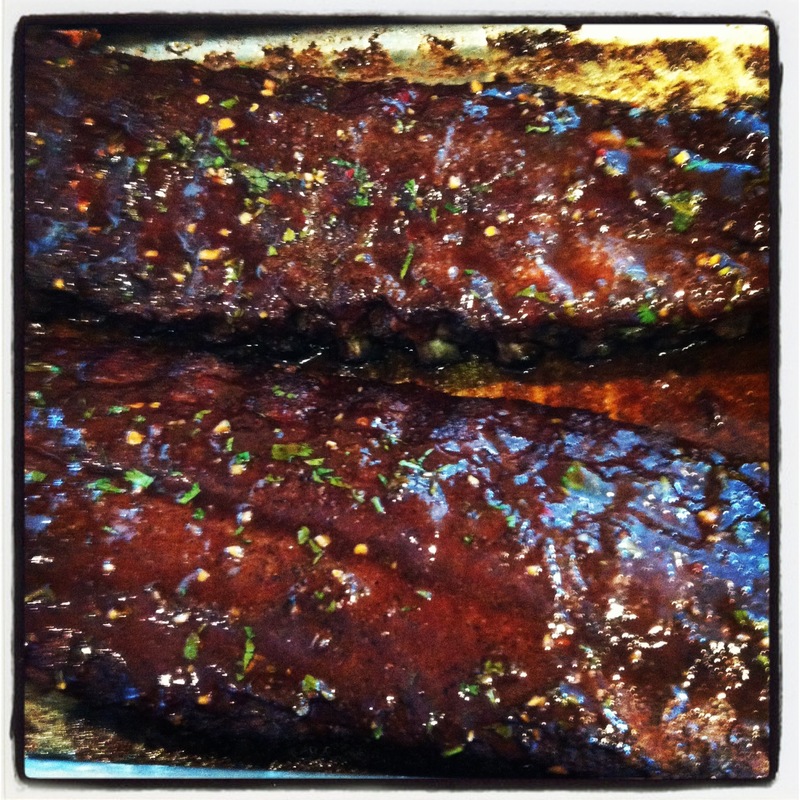 and marinate Asian lime ribs. 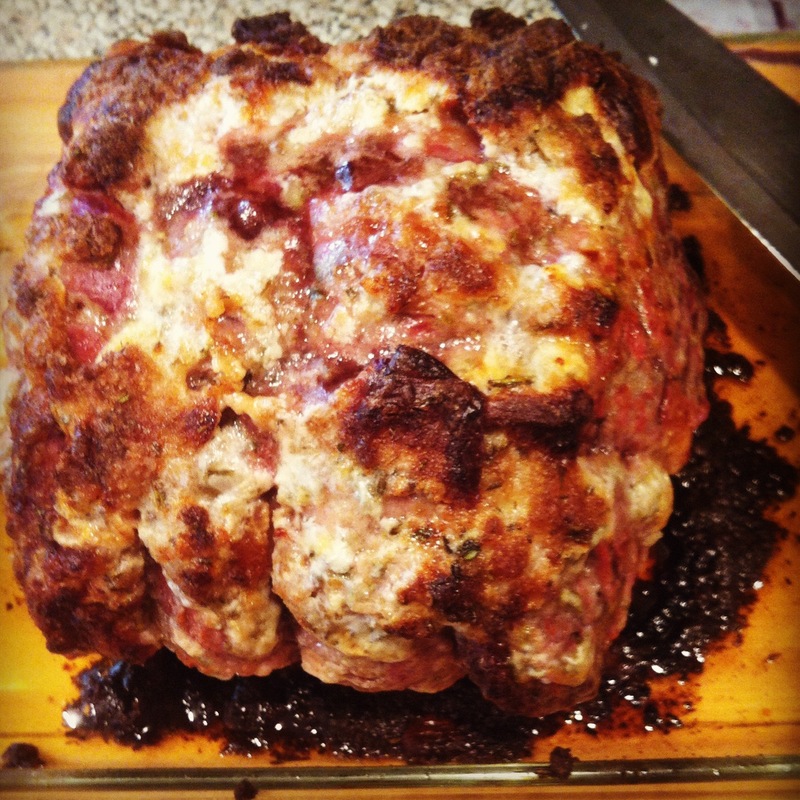 Finally, for the pièce de résistance, horse radish crusted prime rib. And yes, it tastes every bit as good as it looks. I’m sure at this point, you’re wondering to yourself, did my eyes mistake me or was there some mention of bacon at the beginning of this post. Yes, my friend, there was. And here it is, something that on the surface looks overly healthy, but let me assure you that with the amount of bacon in here, it is anything but health food. 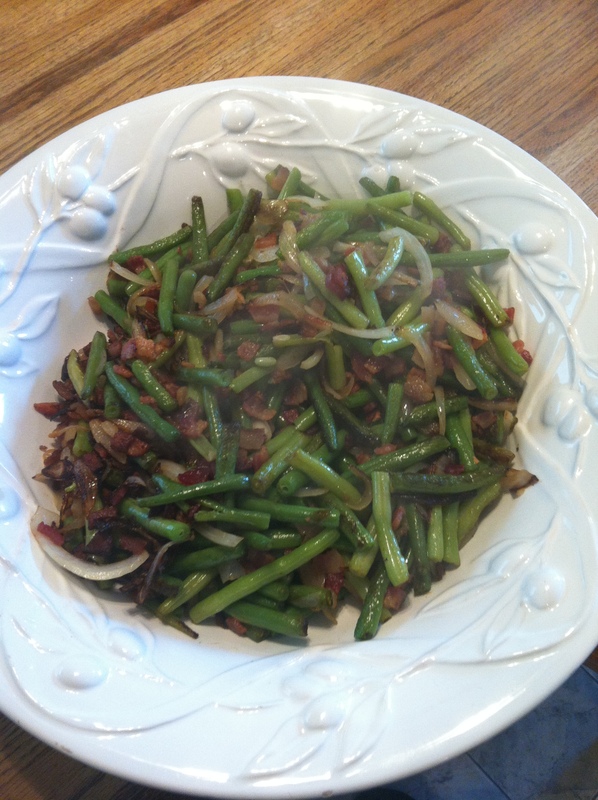 Green beans with grilled onions and bacon. This dish is served at every holiday in my family without fail and has been for years. To say it’s a favorite would be an understatement. 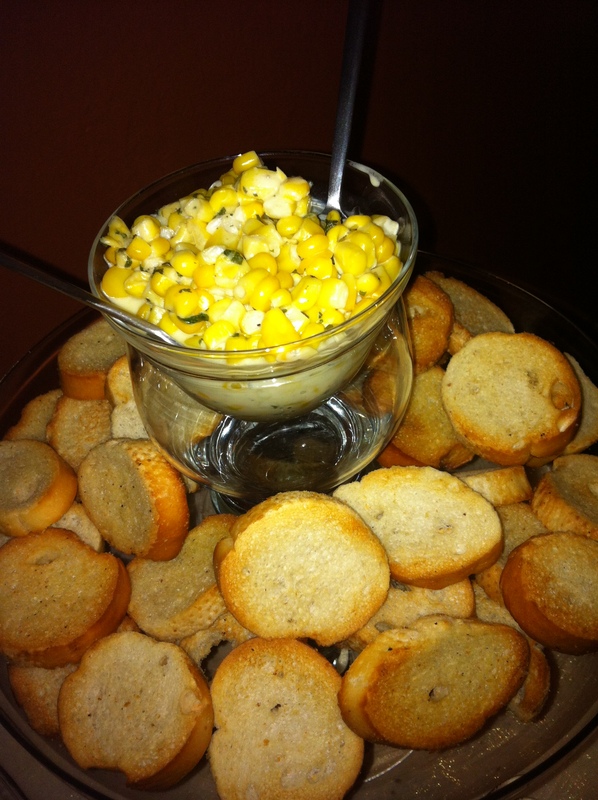 Well, that’s all of the party food I’ve been cranking out. Next week, I’ll talk about other exciting things going on inside and coming out of my kitchen.